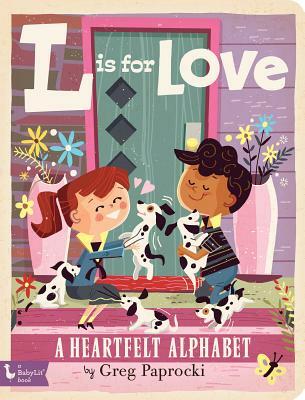 Valentine's Day is a time to reflect on the themes of love and friendship, and what better way to introduce toddlers to these concepts than with a new ABC volume from artist Greg Paprocki. The book's 26 fully illustrated pages take aim just like Cupid's arrow at lovebirds, sweethearts, BFFs, and secret admirers. Part of the BabyLit Alphabet Series. works full-time as an illustrator and book designer. In addition to illustrating several Curious George books, he's provided illustrations for a number of books for Gibbs Smith, including A Is for Atom, S Is for Santa, B Is for Boo, and The Big Book of Superheroes. He began his career as an advertising art director after studying fine art and graphic design at the University of Nebraska.